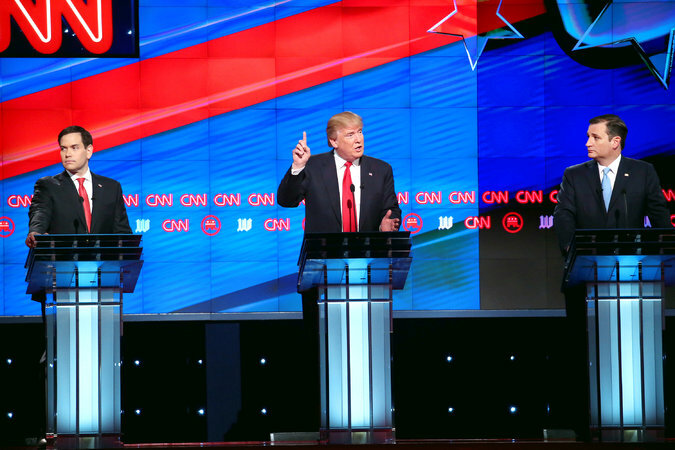 CNN’s fourth GOP debate of the 2016 cycle drew 11.854 million total viewers, making it the least-watched debate on CNN, and the second-lowest of the 12 overall. The debate moderated CNN’s Jake Tapper along with CNN’s Dana Bash, Salem talk radio host Hugh Hewitt and The Washington Times’ Stephen Dinan, drew 3.673 million in A25-54 viewers. The debate was certainly the most tame of the GOP matchups, especially compared to last Thursday’s Fox News debate. Even longtime GOP strategist Ed Rollins noted the muted tone. On FoxNews.com he writes, “This was a real debate, that actually looked presidential. It was like watching the Daytona 500 NSCAR race with no car wrecks. It was almost boring. But not really. There was real substance. And real arguments delivered with passion! This could be the final GOP debate of this cycle, though there are calls to have at least two more. Here’s the 2016 debate ranker, which includes Nielsen viewership data, along with concurrent livestreaming information provided by the networks. **Users needed to be an authenticated viewer to watch the livestream. ***Concurrent livestream data has not available.